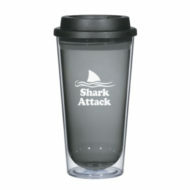 Promotional Travel Mugs and Tumblers are a perfect giveaway for everyday adventures. 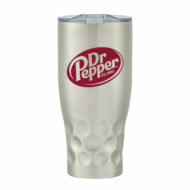 Whether you are looking for customized travel mug or tumbler, we have what you need to take you brand promotion on the road. 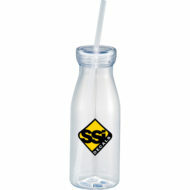 Our logo imprinted travel mugs and tumblers are used to keep drinks hot or cold during travel. Your customers will love using our travel mugs with your logo imprinted on them to maximize your brand’s exposure and repeated impressions over a long time of use. Logo imprinted mugs is one of the best marketing tools for any industry and make a perfect giveaway at home, office, on the go, at a tradeshow, fundraiser, business meeting, holiday event, special occasions and so on. 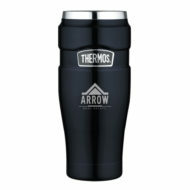 Promotional mugs and tumblers also make a perfect thank you gift for your clients and a welcome gift for your new employees. 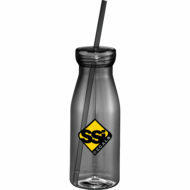 Our drinkware products are customized with your company logo and message to make a lasting impression and boost your bottom line. Your customers will think of you every time they’re thirsty and will be reminded of your brand with every sip they make for many years to come! Whether you’re handing out or selling logo imprinted mugs or tumblers, it is a sure way to generate brand exposure and is a cost-efficient way to promote your brand. We offer a variety of colors, sizes, and decoration methods for your drinkware choices including many well-known brands such as Thermos, Contigo, Camelbak, H2Go, bobble, Aviana and more. For the top-quality logo imprinted mugs and travel tumblers and more, shop with Progress Promotional Products! We offer high-quality drinkware products, a variety of decoration methods including a one-color imprint, metallic inks, full-color imprint, photo transfers, individual personalization (available on many drinkware items), fast turn-around times, low minimums and lowest prices! 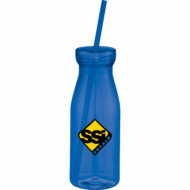 Engage your customers with this custom printed 18oz Yolo Tumbler with Straw. 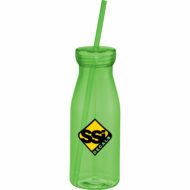 This promotional tumbler features a single-wall construction with twist-on lid and a matching color straw. Straws are included but not inserted. Hand wash only. Order today!